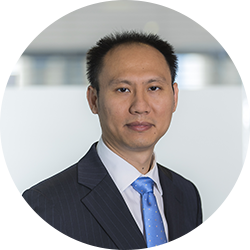 We sat down with Richard Li – Head of the Insurance and Actuarial services branches at Rogers Capital – to talk about Retirement Gratuity. (Q) What is retirement gratuity? “Retirement gratuity is prescribed under the Employment Rights Act of 2008 in Mauritius. It is a sum of money paid by an employer to an employee at retirement, at the end of a period of employment. The gratuity is calculated as 15 days’ remuneration for every period of 12 months’ continuous employment, which means that it is a defined benefit plan. This is not to be confused with a pension plan where a pension is provided at retirement. Instead, the gratuity involves a one-off payment (lump sum) at retirement. In Mauritius, there is no legal obligation for an employer to set up a pension plan for their employees. However, an employer may deduct 5 times the amount of any annual pension granted at retirement age to an employee from the gratuity due to that employee. (Q) Do employers need to set aside money for the provision of this gratuity? “Unlike a pension plan, there isn’t any legal or regulatory requirement for an employer to fund for the gratuity as the benefit accrues. However, under the International Financial Reporting Standards (IFRS) – more precisely under IAS 19, companies are required to recognize the cost of providing for employee benefits in the period in which the benefit is earned by the employee. This means that the employer is required to account in its financial statements a liability amount representing an estimate of the retirement gratuity cost. This liability is commonly referred to as the Retirement Benefit Obligation (RBO). A company can calculate its own RBO by computing for each employee, the years of service multiplied by the current salary and dividing it by 2. This computation does not take into account the timing of payment of the gratuity, mortality and withdrawal rates, components of remuneration and salary increases – which may have a material impact. Employers assume that having a pension plan, in particular a Defined Contribution plan, de facto implies that they do not have to make any provision for RBO. It is possible that the pension under the pension plan is not sufficient to fully offset retirement gratuity and that there is a residual liability. (Q) What are the implications of not funding the retirement gratuity? this exposes the employer to the risk of falling short of cash at the time the retirement gratuity is due or having to postpone investment plans. It may also be a source of volatility in the financial statements of the employer from one year to another, through OCI (other comprehensive income) reported under the standard IAS19 disclosures. (Q) Recently there has been much talk about portability of retirement gratuity. Can you elaborate on this? “The Ministry of Labor, Industrial Relations, Employment and Training very recently issued a notice and has proposed to introduce a Portable Retirement Gratuity Fund (PRGF). Essentially, the proposal is to replace the current 15 days’ remuneration calculation of gratuity by defined contribution scheme with a contribution of 4.8% of monthly remuneration. Limited job mobility for employees – An employee who has spent 30 years with employer A and another 10 years with employer B will only receive gratuity in respect of the 10 years of service with employer B and nothing from employer A. An employee who has accumulated a substantial number of years of service with an existing employer is therefore penalised for changing job. Non-payment of retirement gratuity due to declared bankruptcy of the employer or termination of employment close to retirement age. Thank you, Richard, for breaking down what appears to be such a complex topic! Richard is a Fellow of Institute of Actuaries (FIA) and is the Head of actuarial & insurance services at Rogers Capital Corporate Services where he specialises in the setting up of insurance related entities in Mauritius, including reinsurance companies, captives, reinsurance brokers and Lloyd’s coverholders. He also heads the Rogers Capital entity that provides captive insurance management services to captives in Mauritius. He has over 10 years of actuarial and insurance experience in UK and Mauritius. Before joining Rogers Capital, he spent 6 years in London working for major consulting firms such as KPMG, PwC and Mercer, advising major corporations and insurance companies on areas including technical actuarial, investment, risk, compliance and governance.